Welcome to our cell-grown tree and hedging nursery, based in the prime agricultural lands of East Lothian. 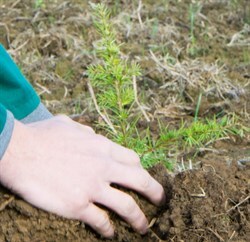 For biosecurity reasons, all of our trees are 100% UK Grown for the productive forestry and native planting markets and we are also a large supplier to the farm woodland, hedging, wildflower and reedbed sectors. In addition, we supply plant protection products, a range of fertiliser formulations and control options against Large Pine Weevil.